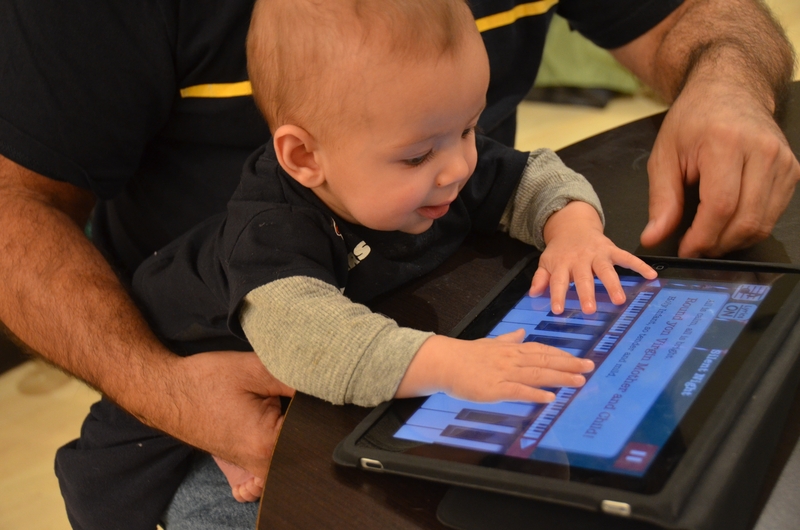 “Playing” the piano on an ipad, looks like Dexter is going to be a gadget guy just like Grandpa and Daddy. I had to work all day today and didn’t get my daily dex fix! I came home and saw the grandpa/dex piano, just made my day!! !